I have some stuff I’m working on for y’all for Friday, so I just wanted to pop in and show you that I can do…normal (?) nails! So, last weekend I volunteered at a health fair. I was there to do makeup, so I toned my nails down for the event. 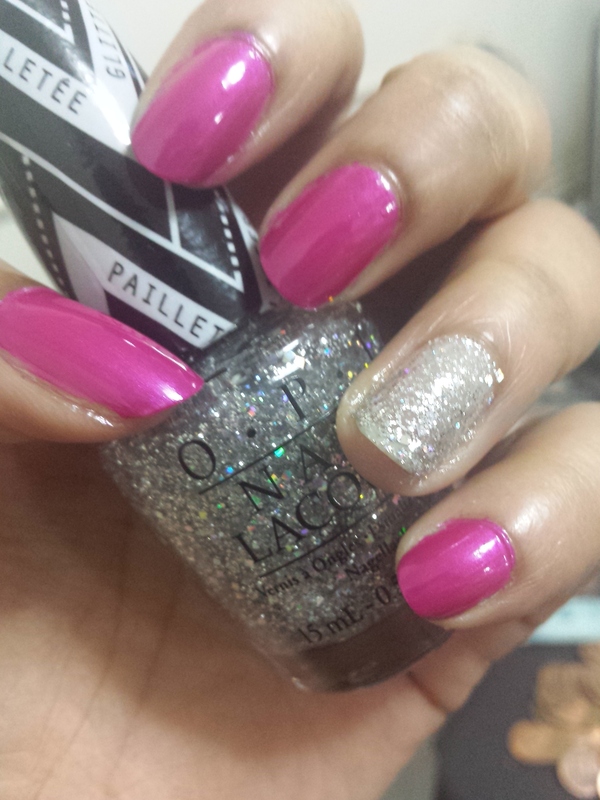 The fuchsia is called Hawaiian Punch by Orly, and the glitter is In True Stefani Fashion by OPI. If you’re in the Northeast, I’m sure you feel some kind of way about the random snow, ice, and frigid temperatures that came Wednesday. This is my way of trying to appease the Weather Gods into giving us back the warm weather! See you tomorrow for Fatshion Friday!